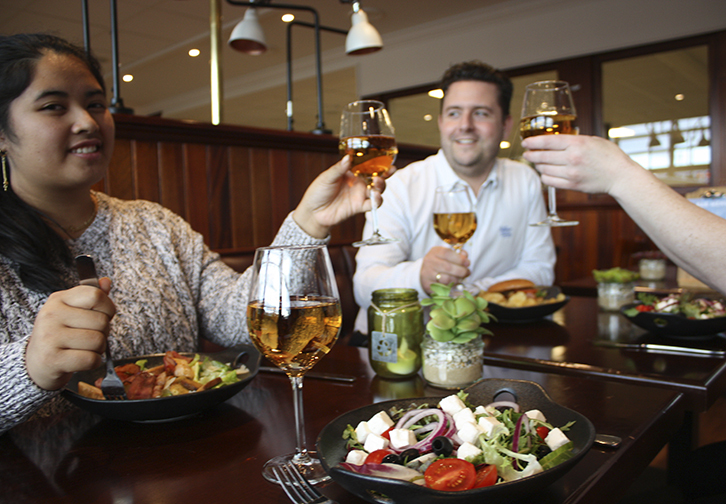 you will find a Narvesen kiosk and Gastro Pub. Right after you enter the security control you can find a cafe offering food from La Baguette, Peppe's Pizza and Cafe Opus . We also the Mingle bar and you can buy food from La Baguette, Peppe's Pizza and Cafe Opus. 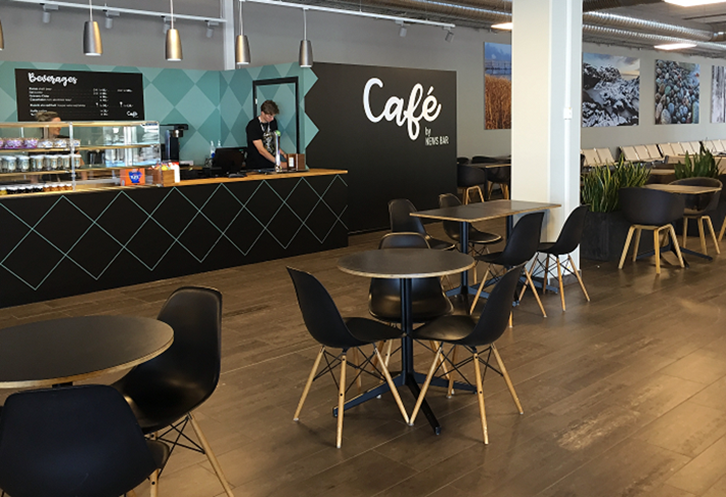 Ritazza, located before you enter the restricted areas, is offering lunch, coffe, bakery as well as drinks (both non-alcoholic and alcholic beverages). 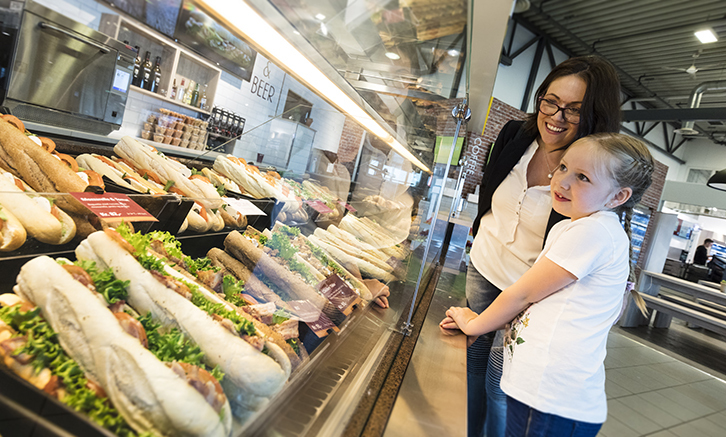 Upper Crust is located at the international terminal and offers autentic french baguetter as well as drinks, fruits, snacks and bakery. Well known sportsbar and restaurant with a number of huge TV-screens showing live sports. 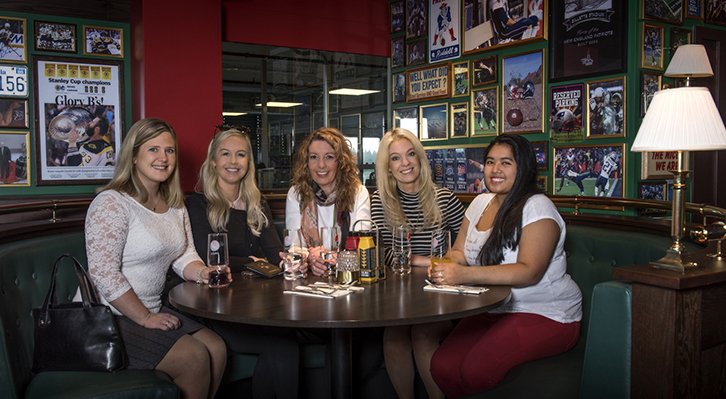 Welcome to O'Learys - where fans meet! 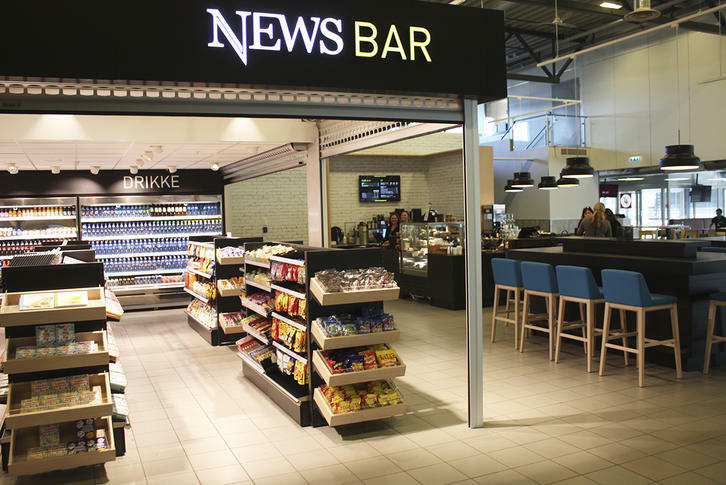 Right after you enter the security control in the domestic terminal, you will find News Bar offering food, drinks, coffee, bakery as well as books and magazines. There are two Points at TORP, one at the main exit, next to international arrivals, and one in the international terminal. 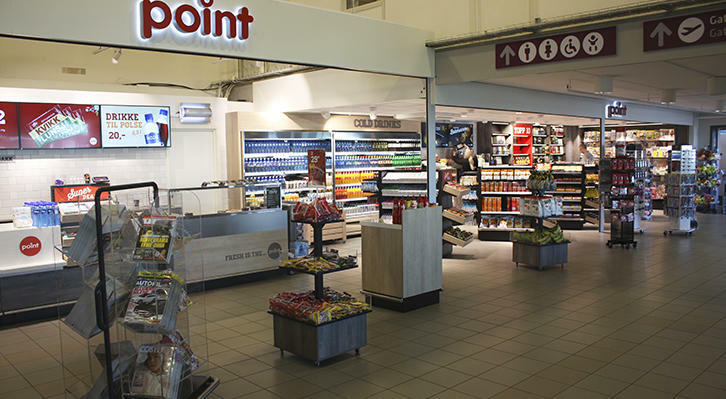 Point offers sandwiches, salads, fruits, smoothies, wraps, baguettes, bakery, as well as coffee, magazines and what you expect to find at small grocery stores at airports such as travelarticles, sweets and snacks. 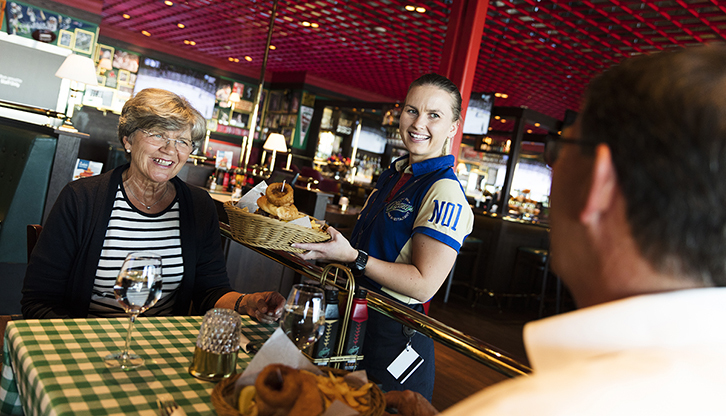 Located after passport control on the secound floor at international departure, this café opens whenever there are flights departing to a country outside the Schengen-agreement area. Today these destinations from TORP are London, Manchester, Bucuresti and Skopje.